This sherwani is made of 100% pure brocade silk and have embroidery work and crystal work on it. The sherwani is available in many colors (If someone want this dress in different color of his own choice we can make it for them in the same price range). 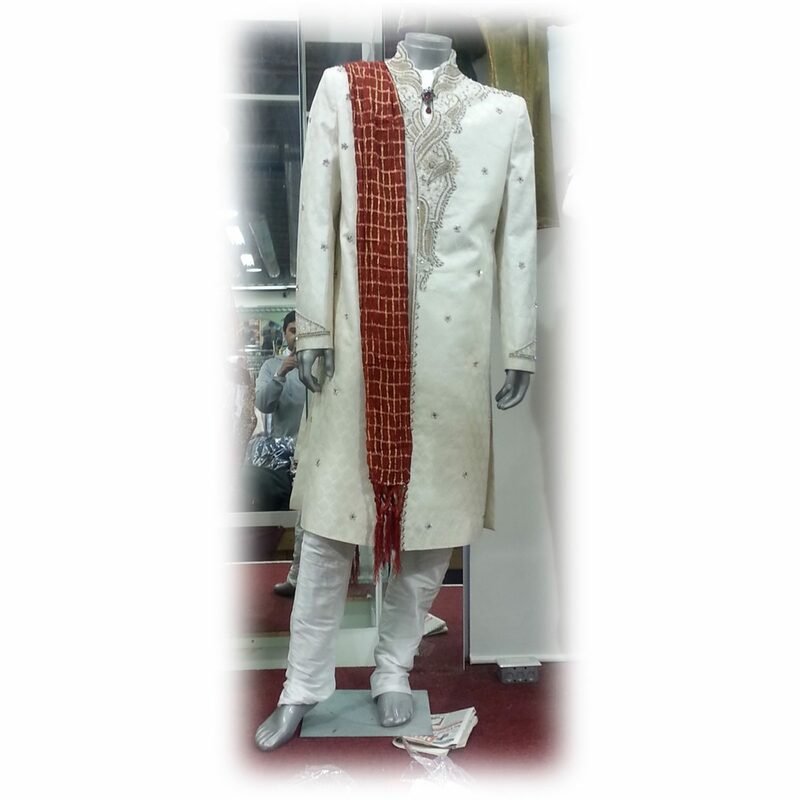 On this sherwani you will get a discount of 50% to 60% and it includes pajami, sandals, and scarf etc. This sherwani is available in all sizes like 40, 42, 44 etc. We have alteration (tailoring) facility available here as well for free of cost.